Development concepts aimed at making cities more efficient, progressive, and sustainable: this is what the term “Smart City” encapsulates. The retail industry is benefiting from the accompanying pervasive connection into the “Internet of Things”. 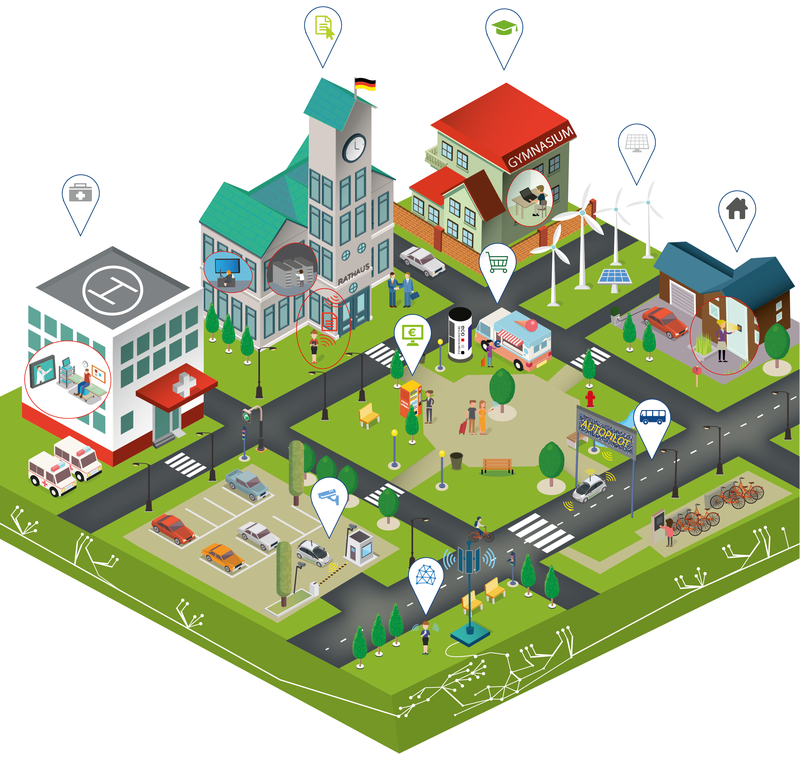 Smart city sales in the tourism & retail segment will grow by 11.3 percent annually until 2022, according to the current study “The German Smart City Market 2017-2022” from eco – Association of the Internet Industry and Arthur D. Little. Digital advertising spaces in the form of digital signage systems, for example, or intelligent vending machines connected into the IoT (Internet of Things) offer high growth potential. Wireless beacons on the basis of Bluetooth allow customers a close-range localized access to businesses, enabling, for example, personalized offers to be made directly to their smartphones. It is hardly possible for one company alone to cover all competencies along the value chain. Providers from a wide variety of different sectors must therefore work together with the aim of offering smart products and services as a total solution through strategic partnerships. The management study is available free of charge by contacting members@eco.de. For more on the topics of smart city and the Internet of Things, read eco’s current edition of dotmagazine, “The IoT (R)evolution”, published online today. They connect the bricks-and-mortar trade with the digital world: Beacons are Bluetooth radio transmitters for retailing that communicate with customers in real time. When customers are passing or entering the store, they can receive a message about a sale or a current offer. It is in the customer’s own hands as to which messages he or she would like to receive on his or her smartphone and corresponding apps. This can significantly increase sales and customer satisfaction.